Atopic Dermatitis: Is Your itchy dog Driving You Crazy? “I recently relocated from Michigan to Los Angeles. Since the move, my Malti-Poo, Rocky, has been scratching and biting himself all day and night. His paws and belly are bright pink from chewing and he rubs his eyes until they are red and tearing. I feel so sorry for him right now. What could be causing this and what can be done?” As a veterinarian, I hear similar stories every day. Atopic dermatitis is the medical name for inflammatory skin disease associated with dog skin allergies. It is the second most common allergic skin disease in dogs. Signs of atopic dermatitis are extreme itchiness of paws, muzzle, wrists, ankles, underarms, groin, around the eyes, and between the toes. 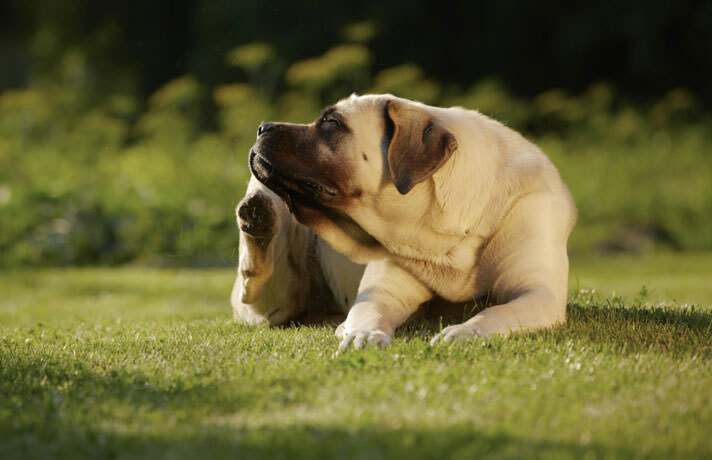 Dogs respond by scratching, licking and rubbing the affected areas, often until a raw sore develops. Allergy testing can be done on blood (serum) test, or by skin testing where small amounts of potential allergens are injected into the skin and the resulting localized swelling is measured. Daily application of a topical steroid/antibiotic spray or cream. Hyposensitization injections of small amounts of the causative allergen. Low dose injectable or oral corticosteroids. Choosing a food that doesn't contain the ingredients your dog is allergic to, i.e. limited antigen diets. Prescription hydrolyzed diets, processed so they cannot trigger an allergic response. Regular use effective flea control topically or pills, as recommended by your veterinarian, to reduce any additional cause for itchiness. Book with us today if your dog is suffering with dog skin allergies and we will help! Are F1 Hybrid Savannah Cats Suitable as Pets?